RGBLINK has beaten VideoWall to become the top one manufacturer of video processing equipment in the LED screen market, with its continual development on the video processor technology and aggressive marketing strategy. It was founded in 2009 and quickly launched their first generation scaler VSP618. To meeting the fast development of fine pitch led screen, RGBLINK released its splicing processor VSP3600 in the Prolight+Sound Frankfurt show in 2012. But its well-known products are X series, specially the rgblink venus X1, X1 Pro and rgblink vsp628pro. We all know the price of rgblink processor is highest among Chinese video processor suppliers. But it seems it’s the best choice now because of its advanced technology. 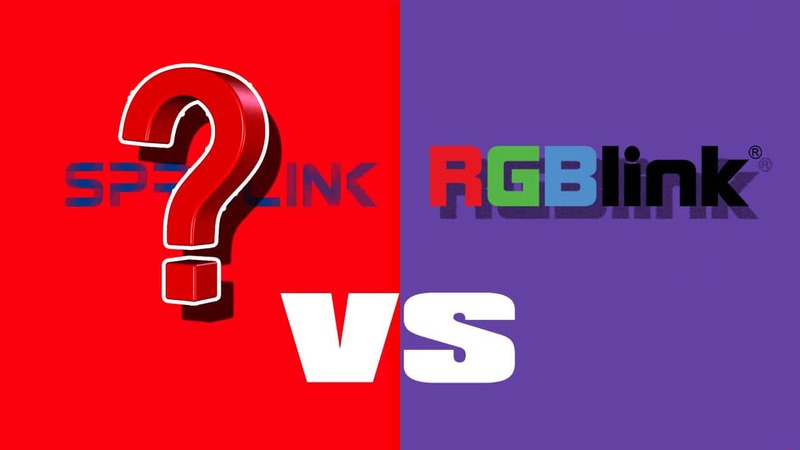 RGBLINK has built very good reputation in the international market with best technology and it also developed world distribution network. Videowall has became follower from the leader. Magnimage now is widely acceptable but mainly in the domestic market. Their products can’t compete with RGBLINK processor. Is there anybody else who has same good technology as RGBLINK ? Yes. As LED display market experienced participator, we 3CINNO (LED Screen Manufacturer) this time want to suggest a small company, Sprolink. It is new company. But most importantly, it’s claimed that all its key R&D staff worked in RGBLINK before and was their core strength. We don’t know the reason why they leave from RGBLINK. But it is legitimate and common phenomenon in the market-oriented economy. Anyway, strong business competition is beneficial for all the consumers including the led display manufacturers and events solution providers. Why not give an opportunity to use the same even better products but pay 30% lower price ? 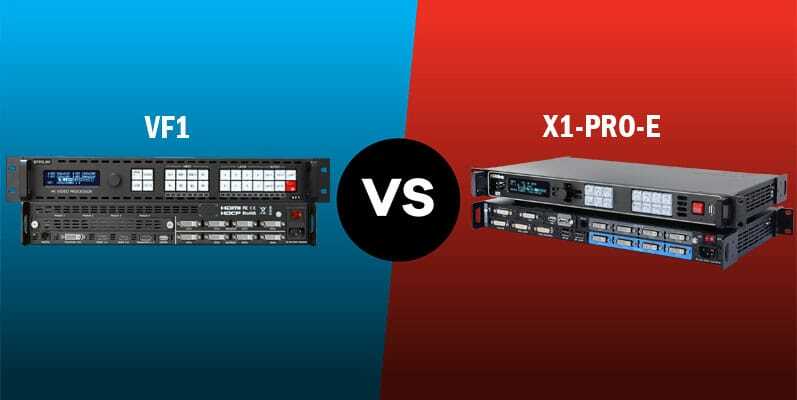 Let’s look at the comparison between one common-used product, the X1-PRO-E and VF1. Highest price doesn’t mean best product for you.